Our nation’s children face an array of problems, including poverty, violence, abuse, neglect, hunger, poor nutrition, education inequity, homelessness, lack of health coverage, infant and child mortality, and family separations in mixed-status households. These obstacles demand attention, policy solutions, political will, and action that to make children a priority. Unfortunately, kids are far too often an afterthought in Congress. The problem is that children can’t vote and don’t have Political Action Committees (PACs) that garner and demand attention. 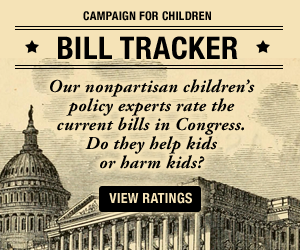 Children need Champions and Defenders, who are willing to focus on, support, raise their voices, and attach their name to legislation that would improve the lives of our nation’s children and actively oppose legislation that would harm kids. 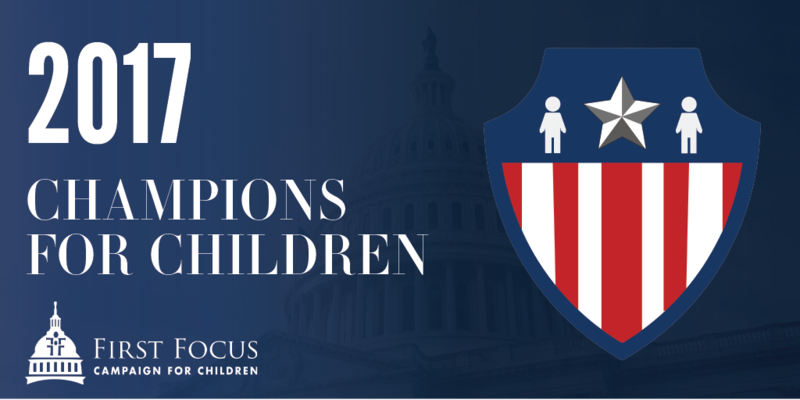 In an attempt to recognize the lawmakers in the First Session of the 115th Congress who are actively working and trying to improve the lives of our nation’s children through public policy change, to improve the lives of our nation’s children through the policy process, we are pleased to present our Champions and Defenders for Children Scorecard. View the Champions for Children website.